YOU ARE NOW A GOD! 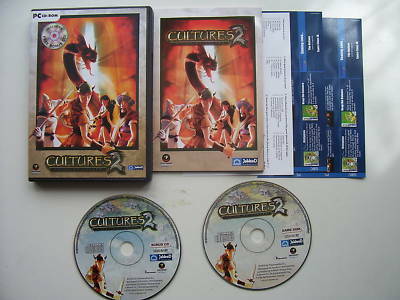 CULTURES 2 will take you on an amazing adventure through graphically stunning settings as the enthralling story guides you towards its spectacular finale. Guide your subjects through perilous missions in order to save your world. How you succed is your choice: Use force or aggression, use diplomacy or cunning. You cannot afford to fail.